Russell and Kitty here with this week's Stretch Tuesday. Tonight, we will share the Top 10 Pieces of Stretch in Topaz. 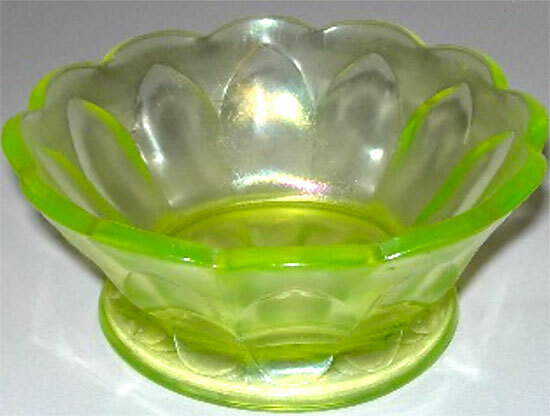 In carnival, Topaz is known as vaseline. As with our other lists, these pieces are our personal picks for rarity and desirability in the topaz (Vaseline) color of stretch glass. It is very difficult to pick out just 10 pieces of rare glass. What we consider rare, you might not. 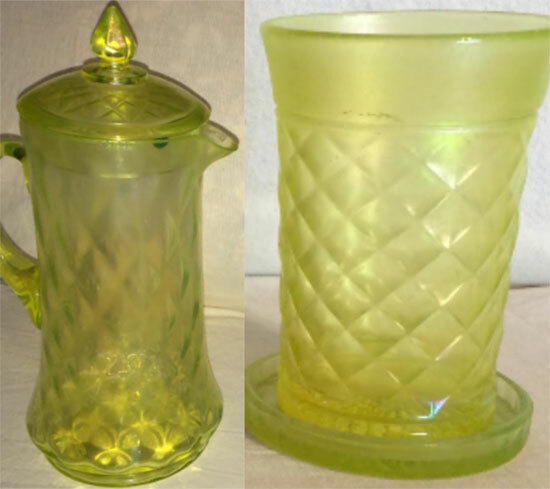 There are a number of pieces of stretch glass that we have never seen before in the West, but other collectors in the East may consider them to be common because they see so many of the pieces. 3. 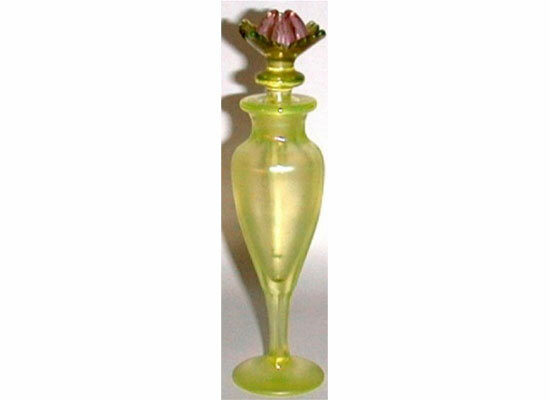 Fenton Tall perfume with a glass flowered top. The flower is painted pink. Only a couple of the stoppers known. Plus very desirable. 4. 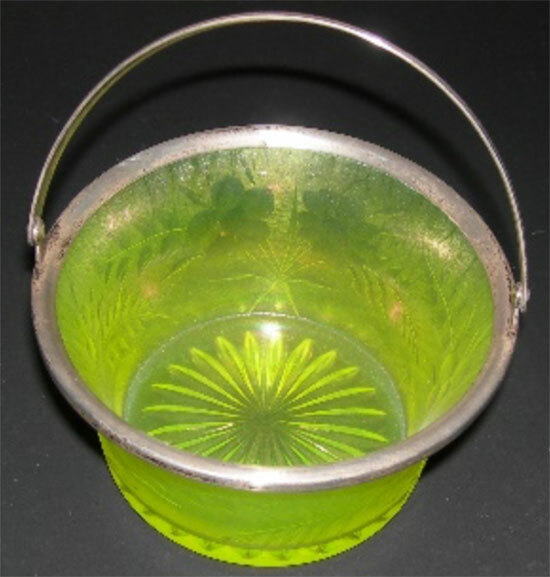 Fenton cut flower basket. The silver plating was probably applied at decorating shop outside of the Fenton factory. Right now only one known. 5. Fenton Shaving Mug with the three embossed dots to hold the shaving soap. Very few known and very desirable. 6. 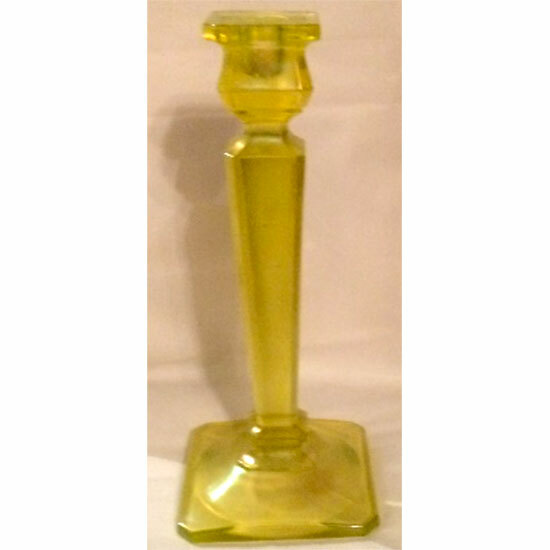 Northwood topaz candlestick #651 – 11” high. Only a few known. 7. Northwood Concave Diamond Pitcher in topaz. 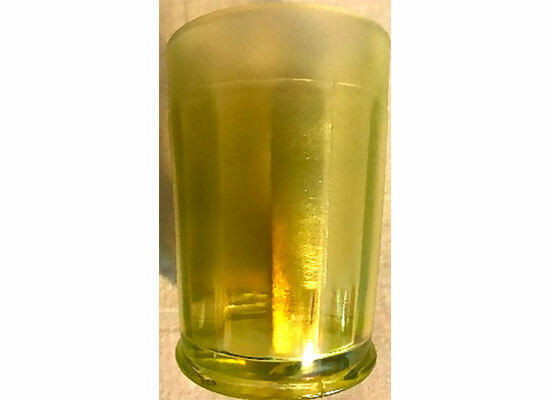 Second picture shows the Concave Diamond tumbler with coaster in topaz. Used to be considered very rare, but they are very desirable. 8. 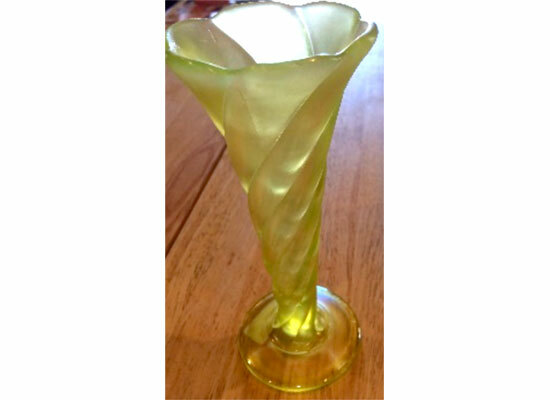 Northwood Tall Twisted Vase #727 in topaz. Very desirable. 9. 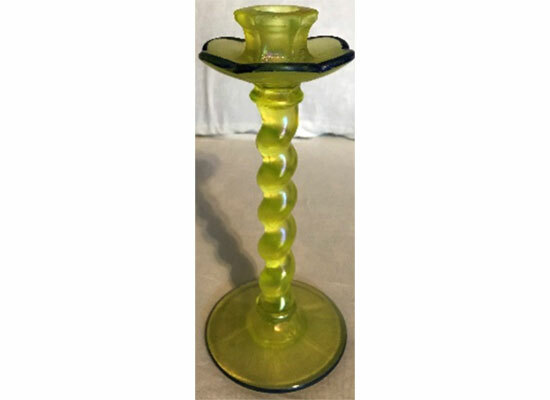 US Glass Twisted Bobeche Candlestick in topaz with black enamel. 10. 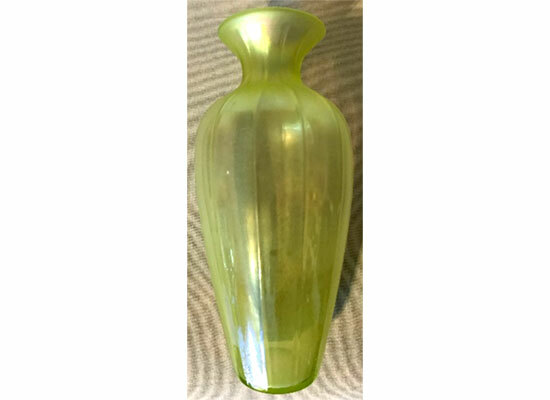 Fenton 13” tall Ribbed Vase #891 in topaz. Not many known, but very desirable. So, what are your top ten pieces of glass?